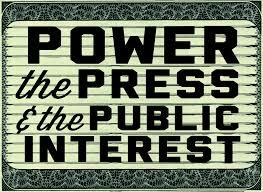 You are here: Home / Parental Alienation Awareness / Parental Alienation in the Australian Media! Child Magazine’s feature article is on Parental Alienation so get your copy of Child Magazine in your capital city or in your state now! 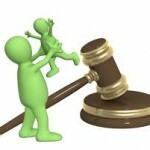 Awareness of Parental Alienation is growing in Australia. Parental Alienation is now appearing in the mainstream media and entering more and more into mainstream social discourse here in Australia. This is helping more and more affected people to identify what has happened to their relationships with their children and what is making their children behave towards them in such disturbing ways. For too long, target parents and alienated children have been silenced by the lack of dialogue and discourse around Parental Alienation as a plausible explanation for a child’s harsh and unreasonable rejection of a loving parent. For too long “children refusing contact” as it is so often called when complex separations and divorces enter the legal system, have been dismissed with simplistic explanations. Simplistic explanations that impugn target parents in alienating their own children and then lead to empowering children as young as 12 years old to choose which parent they wish to love, when children at their age are deemed not responsible enough to buy a tin of spray paint, tobacco, alcohol, to vote or to drive! This is why we need more and more publicity and media attention to bring this form of child abuse into mainstream discussion. It is only by grassroots movement that the necessary legal and social change will happen. Please do not remain silent about this form of child abuse, please do not remain silent if you are an affected parent because we know that silence is the alienating parent’s most potent weapon and isolation from those who truly love their children is one of the most harmful and abusive aspects of Parental Alienation. Compared to the rest of the world, Australia lags behind in its understanding of what Parental Alienation is and how it affects children and target parents. In Australia, family Law practitioners and professionals operating within the family law system struggle to join the dots between child abuse, family violence and Parental Alienation despite the fact that Parental Alienation has been defined as a distinct presentation within high conflict families for more than 30 years and thoroughly researched by hundreds of eminent practitioners and researchers. Parental Alienation as a presentation in both the children’s behaviour and in an alienating parents behaviour remains an insidious form of emotional child abuse. Like many forms of abuse its power lies in its secrecy and the manner in which its victims are isolated from those who might otherwise help them. As with all forms of abuse, we disempower the abuser and those who collude with them by shining our light into the dark corners in which they hide. 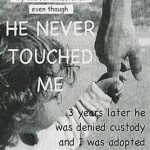 Parental Alienation silences the capacity of children to love both parents. It is this silence that is literally the abuse. It has magnified the extremely widespread scourge of Parental Alienation here in Australia. I agree ‘WE CANNOT BE SILENT’ to emotional child abuse. This dreadful affliction and the devastation to children and families, caused by P.A. I also agree that media attention will ‘Shine the Light’ by highlighting and bringing the focus on emotional child abuse. As parents/grandparents and family members, we have a collective voice to shout out loud and blow our trumpets to break down the ‘Wall of Separation and Misunderstanding’! To Raising standards that identify new pathways, and to raise the bar in Child Welfare service delivery and strategic developments, so that it gives hope to families who are oppressed and to bring healing, reconciliation and restoration to where it is needed. Yes indeed. Silence enables abusers of all types to do their work. So the more of us who are prepared to stand up to name and shame parental alienation and indeed other forms of abuse, the more we expose those who abuse and those who collude with them. Society and the law does not recognise that the rupture of a loving relationship with a child by the acts and omissions of another parent is both a form of child abuse and family violence. All we have is our voice to bring to their awareness and understanding of the changes needed to bring healing, reconciliation and restoration to those of us and our children who have been hurt. In speaking out were also doing the best thing we can for our alienated children. We are taking a stand and showing by example that their alienation of us into which they have been inducted by an abusive paren, is not acceptable and that we will not engage in a relationship with them that reinforces their contemptuous relationship with us. Just saw this now after searching and am interested to know if comments still welcome on this topic?